Myers Park Trinity Little League has a rich history and tradition. 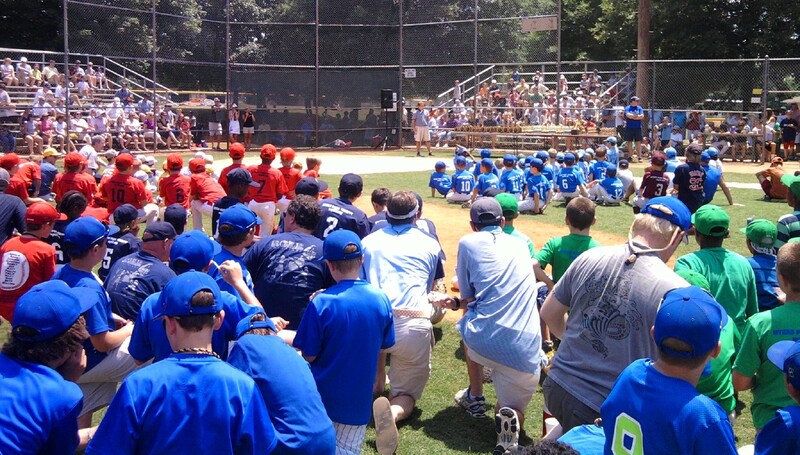 Founded in 1952 , MPTLL remains one of the oldest, continuously operated Little League Baseball programs in the world. Longtime league president Tom Marshall once said, "Myers Park Trinity was established with the mission of providing a family oriented program for young people. Through organized recreational activities, we attempt to develop sportsmanship and teamwork, while building children's self esteem." We strive to hold true to this mission today, while providing a positive and productive baseball and softball experience for all types of young players. One of the wonderful things about Myers Park Trinity Little League is that the entire family has many opportunities to become involved. Players ranging from ages 5 to 16 have a league in which they can play. Parents and other volunteers may participate in coaching, concessions, field maintenance, or just being a fan. MPTLL has proven to be a place where families can continue the tradition of playing Little League. Today, we have many families with kids who are 2nd and sometimes 3rd generation baseball or softball players in our League. In some cases, these kids are playing for the same sponsored team as the generation before them did. Jake Wade, manager for the Harry & Bryant team since 1957, once said, "In our league, everybody wins. Everything is good and right, as it should be. One can leave the real world and go out there and get refreshed. There are no diversions for the kids, no distractions, no drinking, drugs, smoking or cursing... just baseball." To our players, families and sponsors, Myers Park Trinity Little League is committed to providing the joy of baseball and softball to current and future generations of Little Leaguers. If you are playing with us this year, welcome, or welcome back, as the case may be. If you are just visiting, please take the time to look around. Contact a league officer or board member if you have any questions or comments. And if you are considering having your son or daughter play ball with us, we certainly encourage you to join this fantastic tradition that is Myers Park Trinity Little League.